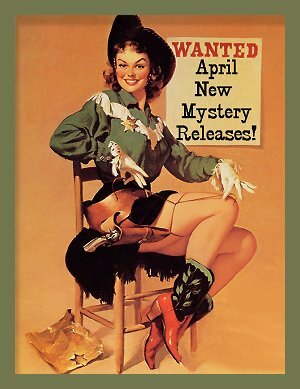 April 2019 New Mystery Releases! Spring has been busting out all over here in the Phoenix metro area. With all the Tombstone roses and sweet acacia winding up for super blooms, it smells heavenly here at Casa Kittling, and I'm looking forward to taking photos of those flowers in all their glory. I'm also looking forward to the water in my pool warming up so I can head back out to my favorite reading spot. And that means I've been trying to ensure that my coffers are filled with good books to read. 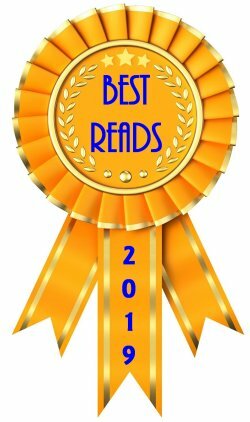 The following are my picks of the best in new crime fiction being released throughout the month of April. I've grouped them by their release date, and the book covers and synopses are courtesy of Amazon. 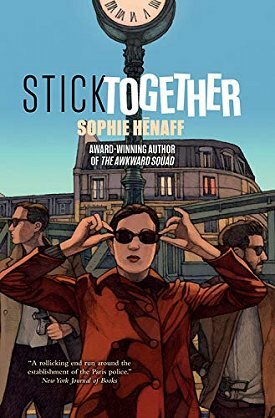 Series: #2 in the Awkward Squad police procedural series set in Paris, France. Series: #4 in the Scottish Bookshop cozy series set in Scotland. 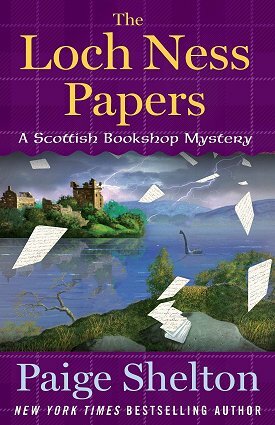 Synopsis: "Delaney Nichols is delighted with her life in Edinburgh, working at The Cracked Spine―a shop that specializes in hard-to-find books and artifacts. With a job she loves, and her fast approaching marriage to devastatingly handsome Scottish pub-owner Tom Shannon, Delaney's life could be straight out of a fairy tale―at least it would be if the pastor meant to perform the wedding ceremony hadn't recently passed away. 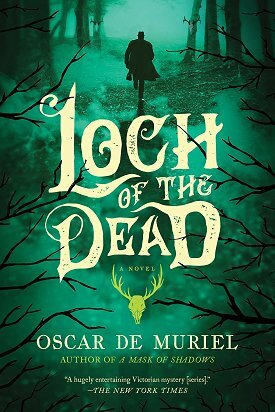 Outside the church where Delaney is searching for another reverend, she stumbles across Norval Fraser: an elderly man obsessed with the Loch Ness monster. Always attracted to the interesting and unusual, Delaney befriends Norval. But when his nephew is found dead, the police decide Norval's obsession has moved from monsters to murder. With a wedding to plan, her family arriving soon from Kansas, and the arrival of an over-the-top Texan with a wildly valuable book, Delaney's plate is full to bursting, but she can't abandon her new friend. Determined to help Norval, she sets out to learn the truth. The Loch Ness buries its secrets deeply, but Delaney is determined to dig them up―whether Nessie likes it or not." 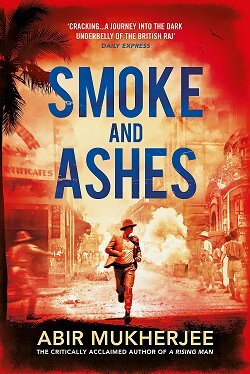 Series: #10 in the Chief Inspector Andreas Kaldis police procedural series set in Greece. Synopsis: "The case begins for Athens' Chief Inspector Andreas Kaldis with a literal bang when a corrupt former police colonel who runs a protection racket on Mykonos is gunned down. Suddenly, Athens' Chief Inspector Andreas Kaldis is face-to-face with Greece's top crime bosses on an island whose natural beauty and reputation as an international playground belies the corruption lurking just beneath the surface. 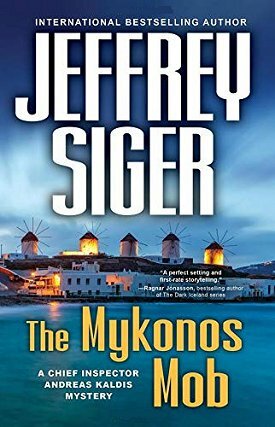 International bestselling author Jeffrey Siger delivers another heart-stopping story of corruption and intrigue in The Mykonos Mob, the latest entry in the renowned Chief Inspector Andreas Kaldis mystery series." Standalone social noir set in New York City. 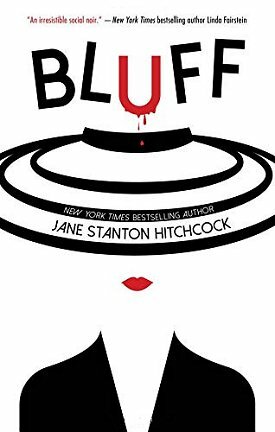 Synopsis: "One-time socialite Maud Warner polishes up the rags of her once glittering existence and bluffs her way into a signature New York restaurant on a sunny October day. When she walks out again, a man will have been shot. Series: #4 in the Frey and McGray historical mystery series set in 1880s Scotland. Synopsis: "A mysterious woman pleads for the help of Inspectors Are and "Nine-Nails" McGray. Her son, illegitimate scion of the Koloman family, has received an anonymous death threat―right after learning he is to inherit the best part of a vast wine-producing estate. The island has been a sacred burial ground since the time of the druids, but the legends around it will turn out to be much darker than McGray could have expected. 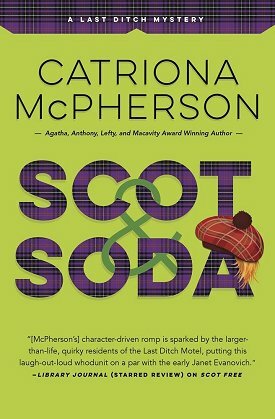 Murder and increasingly bizarre happenings will intermingle throughout this trip to the Highlands before Frey and McGray learn a terrible truth." Series: #5 in the Kelly Jackson cozy series set in California. Synopsis: "Kelly Jackson, manager of the Redwood Cove Bed and Breakfast, is fond of the Doblinsky brothers, Ivan and Rudy, members of the Silver Sentinels, a crew of crime-solving senior citizens in their Northern California seaside hamlet. After she discovers a jewel-encrusted dagger-with what appears to be dried blood on the blade-on their fishing boat, they share their family history with Kelly, and she learns that the knife may be part of a set from their long-ago childhood in Russia. Its sudden reappearance is eerie, but the mystery grows much more serious when a body is found on the boat. The victim was staying at Kelly's inn, in town for a Russian Heritage Festival, and some of the organizers were clearly harboring some bitterness. 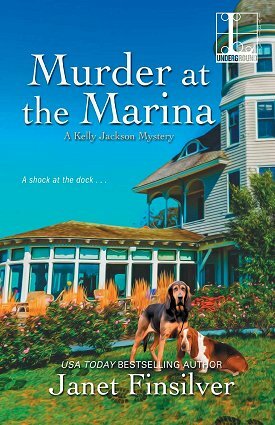 But the story behind this murder seems as layered as a nesting doll and Kelly's feeling completely at sea . . . "
Series: #2 in the Last Ditch humorous mystery series set in California. Synopsis: "Now settled in her little houseboat, moored in the slough at the back of the Last Ditch Motel, Lexy Campbell wants nothing more than to build her counseling business, avoid her mother's phone calls and―who knows?―meet a nice guy. But when she throws a Halloween party for her motley crew of motel pals, the only single man is too old for her, too wrapped up in the case of beer chilling in the slough, and―oh, yes―too dead. The sensible choice is to leave it up to the cops to identify the body and catch the killer. 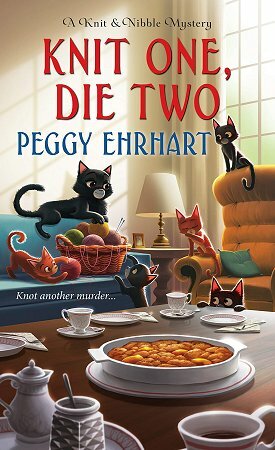 So faster than you can say "Tam O'Shanter," Lexy and her friends jump into the case themselves, delving deep into their town's past for the roots of a mystifying crime." 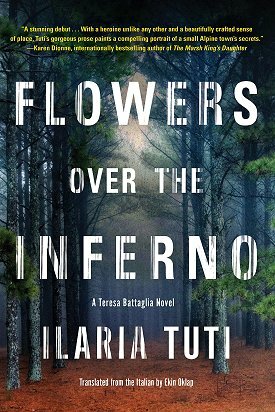 Series: #1 in the Teresa Battaglia police procedural series set in northern Italy. Synopsis: "In a quiet village surrounded by ancient woods and the imposing Italian Alps, a man is found naked with his eyes gouged out. It is the first in a string of gruesome murders. As Teresa inches closer to the truth, she must also confront the possibility that her body and mind, worn down by age and illness, may fail her before the chase is over." Series: #5 in the Lady Hardcastle historical series set in England. Synopsis: "January 1910. A journalist has been killed in a suspicious blaze. 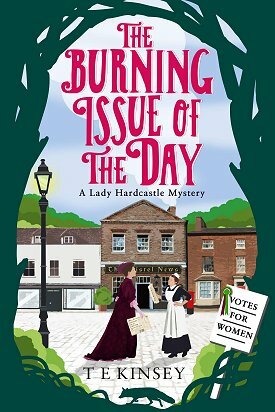 Everything points to a group of suffragettes, but the apparent culprit insists she is innocent. With her trusted maid and confidante, the formidable Flo, Lady Hardcastle sets off in pursuit of the truth as time runs out for the accused suffragette. Was she set up? And if so, is the real culprit a traitor to the cause—or part of a darker conspiracy?" Synopsis: "In the aftermath of Brexit, the body of a young woman is found by the river Thames, and a neighbor, a retired teacher from Chapleton College, is arrested. An eccentric loner―intellectual, shy, a fastidious dresser with expensive tastes―he is the perfect candidate for a media monstering. In custody, he is interviewed by two detectives: the circumspect Ander, and his workaday foil, Gary. Ander is particularly watchful now because the man across the table is someone he knows―someone he hasn’t seen in nearly thirty years. Determined to salvage the truth as ex-pupils and colleagues line up against the accused, he must face a story from decades back, from his own time as a Chapleton student, at the peak of anti-Irish sentiment. 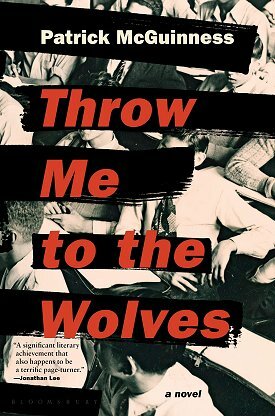 With the momentum of classic crime fiction, Throw Me to the Wolves follows two mysteries―one unfolding in the media-saturated present, and the other bubbling up from the abusive past of the 1980s English school system. 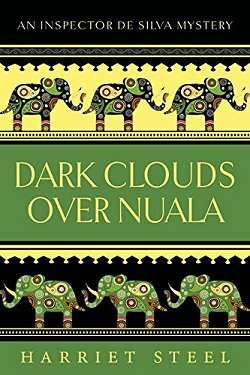 Beautifully written and psychologically acute, it is a novel about memory and childhood, prescient and piercingly funny, as wise as it is tragic." Series: #9 in the Mainely Needlepoint cozy series set in coastal Maine. Synopsis: "Ike Hamilton is a part of the Haven Harbor community just like anyone else, though he’s fallen on hard times and has to make do on disability checks and deposit bottles. Most of the locals do what they can to help him out, and needlepoint partners Angie and Sarah are happy to see him at the annual Blessing of the Fleet, honoring all those lost at sea over the centuries. But when harmless Ike is stabbed, suspicion quickly falls on a troubled teenage boy who’s new in town. Angie’s convinced that young Leo is innocent—but if he didn’t do it, who did? Turns out Ike may have appeared simple-minded, but he knew a few secrets that someone might have murdered him to keep quiet. Angie sets out to trace Ike’s bottle-collecting route to find out what he witnessed—and for this killer, there may be no redemption . 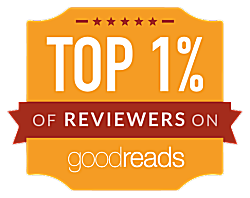 . ."
Synopsis: "Knit and Nibble’s numbers are growing! In addition to a litter of adorable kittens, the knitting club just welcomed their newest member, Caralee Lorimer, who’s learning to knit for her upcoming role in A Tale of Two Cities. According to the amateur actress, the behind-the-scenes drama at the theater is getting downright catty, and Caralee wants a reckoning for Arborville’s pretentious suburbanites. Her claws are out, and just like her character in the play, Caralee is ready to name names. But before she can finish her snitchy stitches, Caralee is killed in a suspicious theater accident. 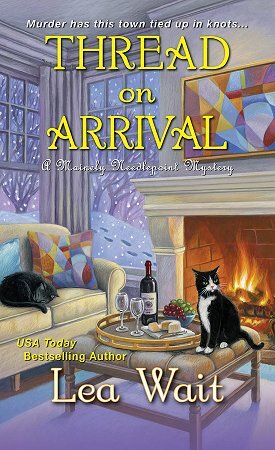 Someone thinks they’ve staged a perfect murder, but Pamela and her Knit and Nibblers are ready to pounce on the real killer . . . before it’s curtains for anyone else!" Well, how did I do? Did any of these books make it onto your own wishlists? Which ones? Inquiring minds would love to know! Oh, that's cool, Cathy! A Siger and a McPherson! And some authors I've not yet 'met.' Sounds like a good month of books coming out. We met Finsilver during the Speed Dating portion of Left Coast Crime. I finished book #3 in the series, so I have some catching up to do, too.